With the confirmed signings today of Nottingham defender Joe Worrall on loan and Osijek winger Eros Grezda on a four year deal, Steven Gerrard has admitted there could be yet more business done before the transfer window shuts formally, with Northern Ireland’s trusty CB Gareth McAuley remaining high on the agenda not to mention strong whispers (and short odds) lingering over Liverpool’s Dominic Solanke. In a devastatingly action-packed deadline day at Ibrox, Steven Gerrard has finally added the creative attacker he needed in the Albanian plus sealed up that vacancy at the back with the England youth international, but if reports widely circulating in the press and online are accurate, two more names could well join them by the end of play today. 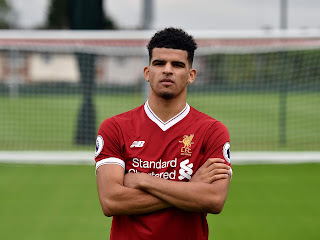 For Solanke’s part, his odds have been slashed from 10 to 5 according to the Daily Express, with the bookmakers suggesting a move north is looking a strong outcome. Rangers have Kyle Lafferty and Umar Sadiq at present, and with Alfredo Morelos’ future looking a little uncertain, a loan deal for the young Anfield prospect would be quite welcome to bolster the ranks. Meanwhile Rangers have been linked to McAuley for weeks, and the veteran stopper is a free agent and would be a modest-priced addition and the kind of experienced leadership the rather youthful defence probably needs some of. Hearts are said to be interested in the ex-West Brom man, along with Aberdeen, but Rangers would undeniably be favourites. We’ll see how this madness unfolds, folks! True, but we only need nine. 1. Get Solanke Signed Up!